It's that time of year again, when the Cotton Tree flowers decorate the canopy along the shoreline. 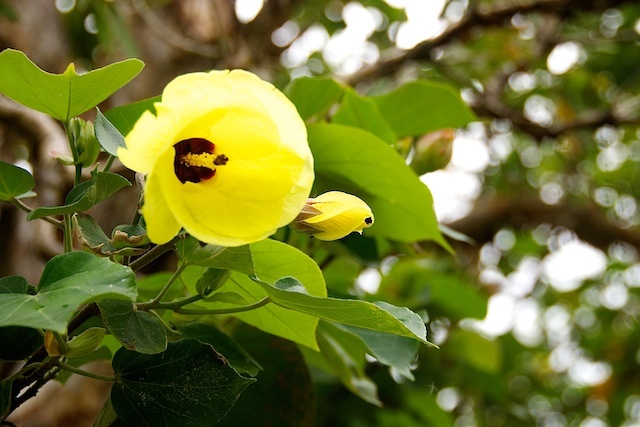 Is the Cotton Tree a weed? Not a weed, but a hibiscus none the less. If you was a cowboy, you'd sidle up to it and say something like "say, you're not from round these parts are ya?"